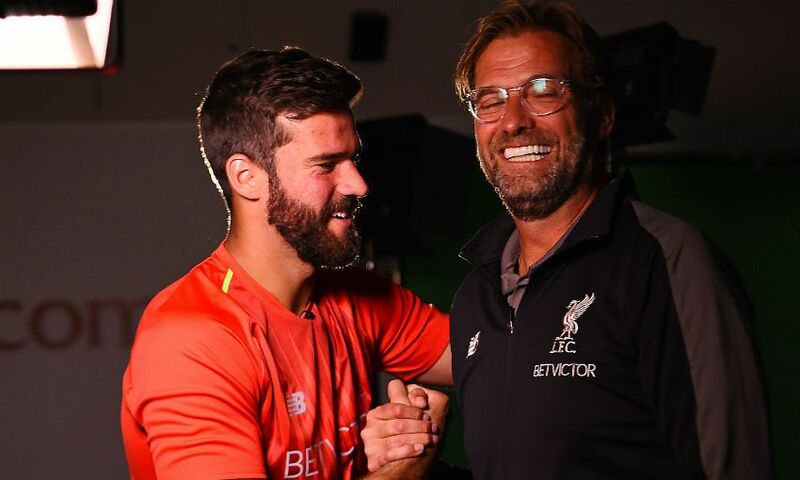 Jürgen Klopp simply could not pass up the chance to sign Alisson Becker, who he regards as one of the world's finest goalkeepers. Brazil international Alisson put the finishing touches to his transfer to Liverpool from AS Roma on Thursday - a move he described as a ‘dream come true’ during his first interview as a Red at Melwood. Klopp is delighted with the 25-year-old’s arrival on Merseyside and the manager has explained why he decided to make the stopper his fourth summer recruit, after Naby Keita, Fabinho and Xherdan Shaqiri. The boss told Liverpoolfc.com: “At one point in the last few weeks it came up, the opportunity to sign one of the world’s best goalkeepers - then it’s not a long thought, to be honest, it’s only that you need to have a little talk with the owners! They were quite excited, so we did it. “His English is surprisingly good and he is a real personality. He has meanwhile a lot of experience in the last few years, in Europe and in Rome, he’s played there on an outstandingly high level and he did the same at the World Cup. Klopp went on to praise Alisson’s all-round attributes, but insisted the stopper will need time to adapt to life in the Premier League and can still improve further. “The full package is just good,” the boss said. “But that’s not important now because again, we got him here because of his existing strengths, which is in all goalkeeper departments the highest level.